The Society For Biomaterials is a proud member of the American Institute for Medical and Biological Engineering’s (AIMBE’s) Council of Societies. Through our partnership with AIMBE, SFB supports advocacy of policies and regulations consistent with the development of safe and effective materials used in the manufacture of medical devices, and increased funding for biomedical research and development in the US Federal Budget. This powerful advocacy tool provides SFB members a single access resource to look up their elected officials, learn about visiting Capitol Hill, host a Member of Congress, or write their elected lawmakers. Click here to visit the SFB/AIMBE Advocates site. Click here to view the latest AIMBE FLASH. Below is an idea of how you can take advantage of these resources. AIMBE has launched a new lecture series on the campuses of colleges and universities across the country on “The Science of Failed Public Policy–Why Congress Doesn’t Fund Medical Innovation,” hosted by AIMBE Executive Director Milan Yager. Contact myager@aimbe.org to schedule a fall lecture on your campus. AIMBE provides resources to look-up your Members of Congress, write a letter to your lawmakers, schedule appointments with your elected officials, information on hosting a congressional lab tour, and more. 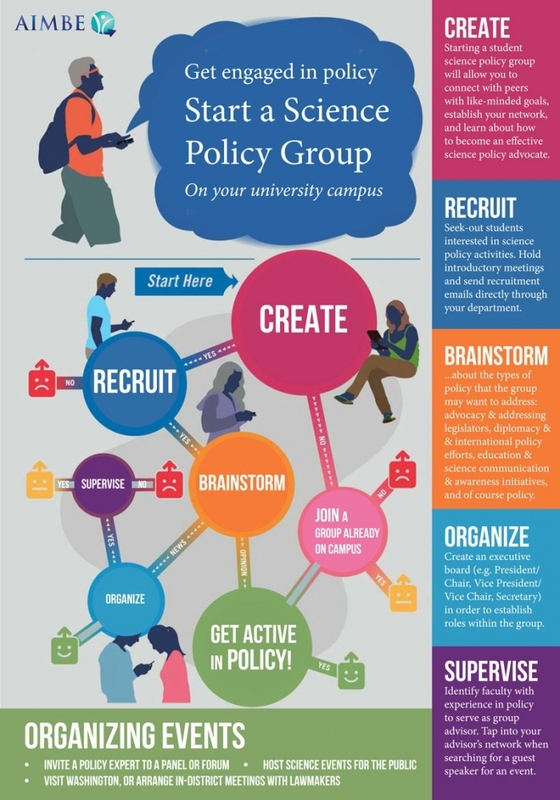 Get engaged and use these resources to get active on your campus. The AIMBE Scholars Program enables distinguished post-doctorates in biomedical engineering fields to serve as expert advisors to policy makers at the FDA. Scholars learn how to apply their experiences from the lab to inform regulatory policy. AIMBE Scholars work side-by-side with the most influential decision makers at the agency. Scholars receive training about regulatory science and policy and build relationships with key government stakeholders. Additional fellowship opportunities are identified here.